Some people are forced to spend their entire lives as climate change refugees – people of the Solomon Islands are one example. Extreme weather, drought and floods have led in part to the migration to European countries from the Middle East and African Continent. If we don’t address the issues of climate and global warning there will be increased refugees heading towards Europe and other parts of the globe. Not out of choice but because they have no choice. We have seen increasing demonisation and labelling of migrants and refugees as benefit tourists and economic migrants coming to steal jobs and responsible for lack of housing and jobs and services by governments with no consideration for the effects of climate change. Wednesday was the UN day for the abolition of slavery but Western governments are fast to forget their colonial pasts, stripping resources from many of the countries most impacted by climate change. For the past 3 months I have been involved in coordinating and organising aid distributions in Calais. 30 or so toilets for around 5000 people, 2 showers, inadequate clean water, dealing with climate issues right there as high winds and storms and heavy rains destroy tents and camping structures – made of tree branches, twigs and tarpaulin / plastic sheets, Having no mains electricity supply mean that people are walking 2 to 3 hours to collect fire wood, making fires to cook and for heat, using candles for light in the evenings and dependent on generators and gas cylinders – this has led to frequent fires- often very bad – destroying everything they have – including documents and personal items. Illness is spreading due to inadequate conditions, lack of hot food etc and if you look at the countries those there and in other camps across Europe they are from countries impacted by the effects of climate. Sudanese make up the majority of people in Calais – 60% - Sudan is the largest African country – arid land and desert impact on food due to climate impact on agriculture – one of the most vulnerable countries to drought in the world. Syria has had several droughts meaning that people have to leave farmland / rural areas to overcrowded cities. Other groups include Ethiopians and Eritreans and Iranians who have also experienced drought. Afghanistans are the second biggest community there, cold winters and hot summers, droughts and floods has led to loss of crops with 6.7 million Afghans impacted by disasters and extreme weather between 1998 and 2012. In turn the countries most responsible for climate change are usually the ones rejecting, demonising and labelling those fleeing its effects. Migrants and refugees from the poorest countries contribute little to the causes of climate change in turn suffer disproportionately from its effects. Higher temperatures and heavier rainfall cause drought and floods, this in turn leads to greater food and water insecurity, deepening poverty and furthering social inequality. This leads to mass migration, displacement, conflict and millions are forced to move in order to survive. Human instinct is to survive, human beings have been migrating since the beginning of time. When those in the West move to other countries they are ex-pats and seen as acceptable, legitimate and respectable, whilst stigmas and hatred are attached to those from poorer countries, not moving as a choice as those in the West usually do, but because they have no choice. 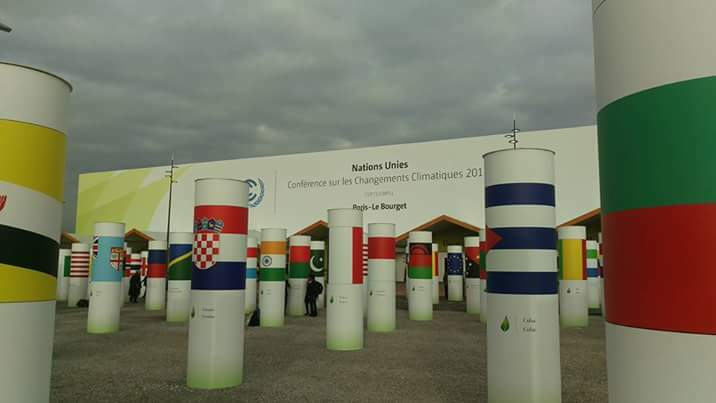 Climate change also threatens rights – rights to safe adequate water and food, access to health services and housing - this has a knock on impact on child poverty and deepens race and gender discrimination and inequality. Economic instability means opportunities and rights are reduced. 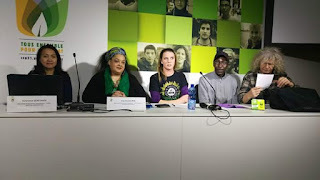 Governments, trade unions and civil society have a responsibility to address and minimise the consequences for human beings of rapid global warming. Adaptation of strategies for capacity building and research. Social inequality created by the effects of climate change must be addressed as all other social inequality should be. We need to look at the link to austerity and cuts because there is one. Economic instability combined with climate change impacts on the poorest but also in times of austerity racism increases and the far right grows as we have seen across Europe. Racism and islamophobia is deepening every day – I have experienced and witnessed this first hand as an anti racist, equality and justice campaigner. So if you are a migrant / refugee who is black, a person of colour or Muslim you face an added level of discrimination and attack. An issue for those seeking asylum or a new home and new start in a safe place is that they are not recognised legally as refugees if they are migrating because of climate change. 1951 Geneva Convention regarding the status of refugees says you must prove fear of persecution. The 1950 European Convention on Human Rights says it is not legally possible to apply for asylum from outside the country so for all those refugees in Calais, stuck in limbo between France and the UK, the only chance they have is to risk their lives every night trying to get on trains and in trucks - many have died and even more have serious injuries and disabilities from their attempts to get to the UK. Those fleeing climate change do not meet the legal definition of refugee. The UNHCR, UN Refugee Agency says that camps should be the exception for those in forced displacement and they should be permitted to exercise their rights and freedoms. In Calais there is not even a refugee camp in the proper sense - just a makeshift shanty town on asbestos infested waste land and refugees are frequently brutalised by police in an attempt to keep them boxed into this land. The UN says that there should be links to host communities with access to the local economy and infrastructure and service delivery to live peacefully without harassment. Complete opposite is true in Calais – last month a high court ruled that the Calais authority must provide adequate toilet facilities and collect refuge – it is charities on the ground like L’auberge, and secour catholique together with individual voluntary groups such as my own org BARAC UK that are provided food, essentials, volunteers to sort the warehouse of donations, distribute, clean and build. There is a gap in international law in terms of protection for climate change migrants who would need to characterise climate change as persecution. Extreme weather is harmful but does not generally meet the high threshold of persecution and they have to identify a persecutor – could be argued that developed countries, industrialised countries or the international community is the persecutor. But they still have to meet the criteria of persecution being due to race, religion, nationality, political opinion, social group etc. Climate change does not distinguish but does impact disproportionately – more likely to be black, people of colour, indigenous. There is an impact on human rights and the right to life, right to adequate standard of living, food, clothing, and housing are all impacted. For those who have got through the system but are rejected and facing removal they have to show they will be removed to a place of torture, inhumane or degrading treatment, physical or mental suffering. Refugees in Calais are all suffering from post traumatic stress due to the war, poverty or persecution they fled in the first place and in addition the journey they endured, dangerous, exhausting and frightening – many I spoke had survived the Mediterranean on perilous terrifying journeys and have lost their families, parents – mostly young 18 to 24 and many unaccompanied minors. But despite this the level of severity required in article 3 is difficult to prove. Include refugees and migrants in policies, strategies and campaigns on climate change, anti austerity and anti racism/ anti fascism work. Recent landlord pilot – means not only those who are actually migrants but those perceived to be because of name or colour will be rejected for housing or exploited – I am part of the Movement of Xenophobia and one of the organisations that form MAX, JCWI, research identified threatening, rogue landlords would exploit migrants with a disproportionate impact on women – asked to perform sexual favours and threatened with reporting to the home office if they go to the police. In addition because landlords are expected to be immigration police and check papers, if papers are with the home office then they can’t access housing. But not just housing, access to other services, such as driving licences, NHS, medical services, marriage license are more. Impact on students from abroad. So support for migrants and refugees should not stop when they get asylum, because the labelling, demonisation, discrimination and disadvantage continues. Form trade union policy on this internationally, regionally and nationally. 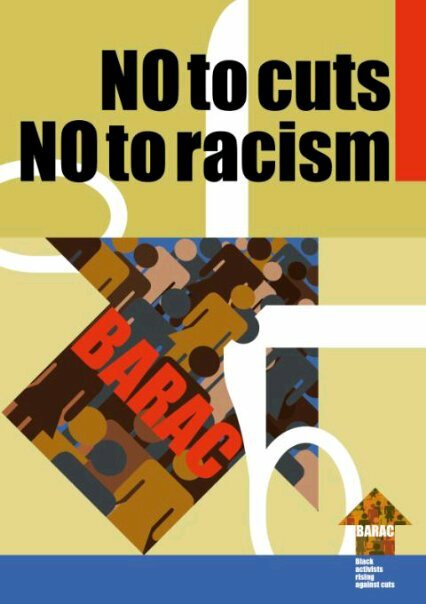 Support orgorganisations like my own taking aid to refugees - BARAC and MAX campaigning on issues like the immigration act. Most of us have little or no funding at all – another impact of austerity and rely on people power – I am proud my union does this and is affiliated to both orgs, example: PCS has been sponsoring our aid distribution travel and transport to Calais. Put pressure on govs to provide humane faculties for refugees and camps. Its winter and many could die – this is about humanity. Humanity and equality should be at the heart of our union movement. Countries like the UK who are agreeing to woefully low numbers of asylum seekers need to be lobbied and shamed. Speak about these issues to your union members. We know that our memberships represent a cross section of society – some of them will hold racist, biased, negative views about refugees and blame and scapegoat fuelled by government and media narrative. We have a responsibility to provide a counter narrative and educate, mobilise and organise from a position of truth on an ongoing basis and also to form policy through our democratic structures – model motions, articles, briefings all help. 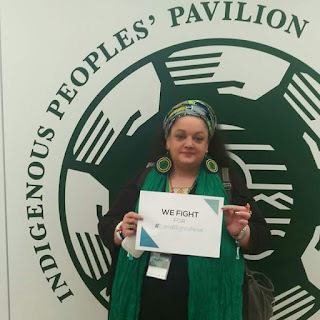 This week Indigenous Peoples released a joint statement to the UN talks. Extract; World leaders in Paris must lead us away from the commodification of mother earth which places our lives and future on an unstable foundation based on money greed and power. I support their position, Western countries that have benefited and profited from colonial rule, Empire, enslavement, taken from African, Asian, Latin American, Indigenous etc people now seek to bar and block the descendents of those people after they have stripped them of everything. They have a collective responsibility to act. Climate Change will continue to displace people and so it's totally outrageous to then demonize and ostracise the victims and blame them. Those nations that hold the most power and privilege cannot be allowed to create a climate of fear racism and displacement and must be held accountable and stand up to their responsibilities. Trade Unions have a key role in holding them to account but also ensuring these issues are on the agenda when working and campaigning on Climate Change.